“Angry Little Girls” cartoonist Lela Lee will appear at the Japanese American National Museum, 100 N. Central Ave. in Little Tokyo, on Saturday, Oct. 19. 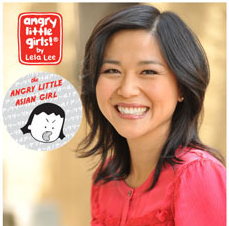 At 2 p.m., Lee will discuss her comics, originally known as “Angry Little Asian Girl,” and their impact on Asian Americans and beyond. She will also bring never-before-seen artwork that shows the evolution of her comic strip. Her books can be purchased at the Museum Store.